Listing of the Jurassic World Hybrid line revealed! Hey folks! Remember our last news about the probable future of the JP line? Well, the cat is out of the bag, with the reveal of Jurassic World Hybrid's line listing! This was revealed by forum member and store superviser Miller23time, who found in his store's UCP list what we can expect for next year (which was later confirmed by our staff member Chrislikesdinos). It is unknown if this list is complete or if more items will be revealed, but until then, here we go! So, yup, while it's possible we'll get some repaints, several hybrids in there will have to be new sculpts! So, are you excited about this new Chaos Effect 2, err, JW Hybrid line? Stay tuned for more, as we're sure more info and pictures will be unearthed soon! New repaints section, and rumors about the future! Hey folks! Today, we present you our new section, the dinosaur Repaints section! Ever wondered how many times some figures have been repainted? Want to compare the repaints to the original? Head over to our new section and see pictures of every repaint released so far. Always interesting to see how a different paintjob can change a figure. A huge "Thank you" goes to old-time forum member Stitch for taking the time to take all these pics for you to enjoy! Also, as you may know, the last Jurassic World figures have recently been released, putting an end to this line. But what's next, you may ask? 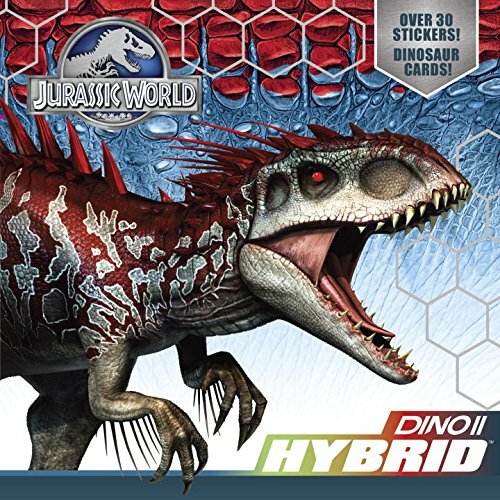 Well, nothing concrete yet, but several rumors are mentioning a 2016 line called "Jurassic World Hybrids" (no, nothing to do with the infamous JP Dinosaurs Hybrids line released many years ago). So far, nothing is known about this new line, but considering the big success of this years's line, it's no wonder Hasbro wants to continue to surf on the Jurassic World wave. We'll see if it's a good or a bad thing! So, enjoy this new section, and stay tuned for more info as soon as we uncover it!